This flower shaped pageant crowns made by high quality crystal rhinestones, color in red/blue/green/pink. with combs or adjustable band both available. 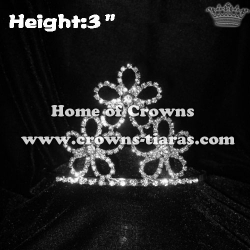 3in,4in,5in and 8inch height all available.